Second Life recently updated their corporate website to announce a new board member – Dana Evan, the ex-CFO of VeriSign. First woman on the board which is kinda cool and more finance/operations firepower. Overheard by a friend at a recent San Francisco jury pool. Judge: Have any of you ever evicted someone? Judge: But there was no money involved, right? Wanna be a furry, barbie or yourself? Some interesting insight into how people want to represent themselves in virtual environments. Only 15% said they want to be dramatically different than their real world selves (closer to 20% when you remove and normalize for the “i don’t know” response). As avatars go more mainstream it should be expected that people want to look like themselves or fantasized versions (cooler, more muscular, bustier, etc). I think though, and other research suggests, that kids are more malleable with regards to identity and will do more role playing of altered appearance. 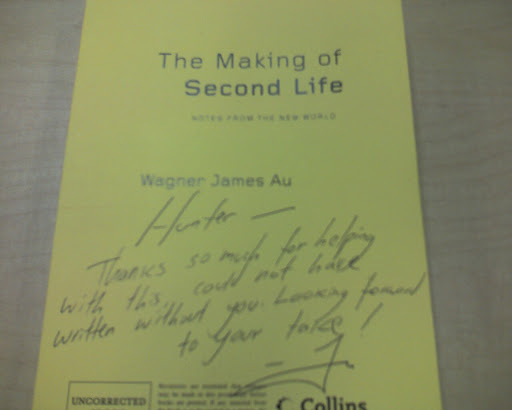 Just received a galley from James Au of his new book on the making of Second Life (out in Feb; pre-order now). James interviewed me (and the other original SL’ers) for this so i can’t wait to check it out and see how it unfolds. If you are interested in technology, user generated spaces, virtual worlds, sociology, etc I bet you’ll like it. Cited by Yahoo as one of the hot searches for 2007, Second Life has a bunch of different interesting coverage, beginning to wrap up a crazy year in their existence. CTO Cory Ondrejka will be leaving Second Life over differences with CEO Philip Rosedale, the most visible departure from Second Life, well, ever (most of the early team has been there ~7 years). Cory, Philip and I spent much of the early days together brainstorming and debating what Second Life should be. We all brought very different perspectives which resulted in a better product and ambitious goals. Although we haven’t kept in touch very much since I left SL in 2003 (i do see Philip a few times a year), Cory left a lasting impression on me. He was the gruff guy with a heart of gold, and someone who was a great colleague. I first met him during my interview process in late 2000. One day i was on the top floor of 333 Linden talking to Philip when Cory popped his head in and asked Philip to stop by his desk when we were done. After the conversation wrapped up, i headed downstairs and noticed that a small mindbender on the landing had been completed (it was not yet solved as i was walking up the stairs earlier). It was clear that, while taking a break from coding to walk upstairs, Cory had quickly solved the puzzle and then returned to work. It immediately struck me that this was the place I wanted to be – that we actually had a shot at building this incredibly complex vision because we were filled with some early engineers who were committed to solving hard problems, even in their spare time. 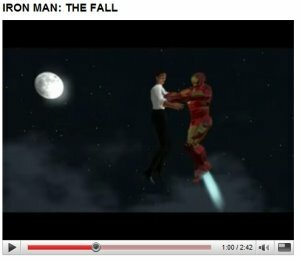 I look forward to seeing what Cory does next and the evolution of Second Life. Second Life: Dilbert’s nuts and >$500m valuation? On the heels of news that at least one of Second Life’s backers sold some of their equity reportedly at a valuation >$500m, Dilbert creator Scott Adams appeared in world to promote his latest book. Adams, in a triumphant moment, invited users to come kick him in the nuts. This might surpass Ben Folds’ appearance where he took off his shirt, drank beer and wielded a lightsaber.